Money Myths Archives - Know Money Inc. Many people realized this during the financial crisis of 2007 and 2008. With increasing mortgage prices, property tax, insurance, and maintenance, it's simple to see why your home isn't an asset. This doesn't mean you shouldn't buy one, just don't count on it to make you money. The average credit card debt is over $15k per household. We haven't been taught how to use them properly so we often write them off altogether. Your credit cards will affect your payment history and credit utilization that accounts for 65% of your credit score. When you have a healthy management of your cards, your credit score rises and you may earn rewards from your card company that can pay big dividends in travel savings. Saving is "paying yourself first." Any income that you receive should have some dollars applied to saving for emergencies or your financial goals. Your spending plan (aka your budget) will include paying off debt, but saving is a higher priority. Over 60% of Americans don't have $500 to cover an unexpected cost. This myth feeds that number. You can't nickel and dime your way to becoming rich. 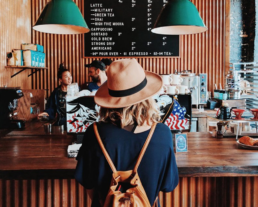 Focus your energy on earning extra money, reducing your bigger expenses and staying in a good mood after your Starbucks or local coffee shop visit. Looking to put your untapped skills to work? Check out freelance sites like UpWork and Freelancer. This is my favorite myth to dispel because it's as old as time. We've put our money mindsets in 'Park' while internalizing this saying. While you can find the corrected quote in the Holy Bible as "for the love of money is the root of all evil," (1 Timothy 6:10), my quote of preference comes from Mark Twain: "the lack of money is the root of all evil."